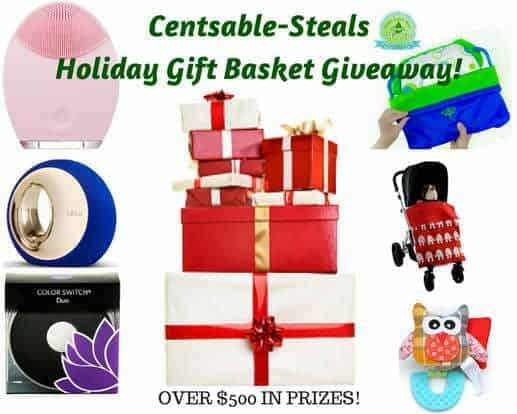 Welcome to the Holiday Gift Baskets Giveaway! Over $500 Value! Make your holiday season happy with Holiday Gift Baskets that include many exciting gifts for you! Enter the giveaway below and one lucky person will win a $500 value gift basket! Just in time for the Holidays! Win the perfect holiday gift baskets filled with goodies perfect for both Mom and baby this Holiday season. Total retail value over $500! Check out my Holiday Gift Guide to see some of the awesome gift giving prizes in action! Disclaimer: The winner will be notified by e-mail and will have 48 hours to respond or forfeits the prize. Holiday Gift Baskets giveaway is not associated with Facebook, Twitter, or any other social media. Work Money Fun and all participating blogs are not responsible for prize fulfillment. All entries are optional. Void where prohibited by law. I am most excited to win magformers. I want to win the magformers for my son. I am most excited about the Zooligans. I would be excited to win MASSAGE CANDLE BY LELO. I love candles! I’m excited about the Eighty Eight bag. I am excited about the stroller. I am excited about the Baby Tooth Albumn. The Bath Blocks look like a fun toy for the kids. I am most interested in winning the irresistible hair extensions.